In 1997, Dr. Maureen Murphy of Baraboo, Wisconsin traveled with two nurse practitioners to rural Thiotte, Haiti and was saddened by the vast amount of medical attention people needed. Everywhere Dr. Murphy looked she saw people with ailments. It was obvious the community and surrounding area had limited access to health care. At the time, the local population was served by one traveling Haitian doctor. 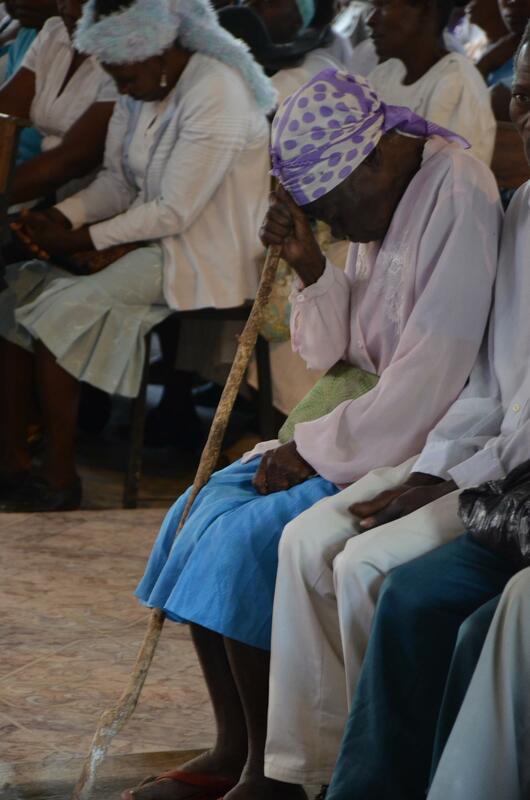 That one Haitian doctor visited Thiotte once per month - to try to serve over 20,000 people. Dr. Murphy also witnessed a community filled with love, respect, gratitude and pride. The medical need and shared community values motivated Dr. Murphy to commit her time and resources. HMMW volunteers recognize that our efforts must be a partnership with the local Haitians to succeed. During HMMW trip visits, Haitian medical professionals partner with HMMW volunteers to share approaches, techniques, treatments, and protocol. When HMMW volunteers are not present, a team of local Haitian health care providers are supported in the clinic HMMW opened in 2002. This approach ensures we learn from each other; and build a system that endures. • Direct health care to 75,000+ patients. • HMMW has stimulated the Haitian, and specifically Thiotte's economy, with over $750,000 of direct financial assistance targeted to positively impact health and build local capacity to provide health care. • 52 medical mission volunteers participated in 4 medical mission teams. • Each volunteer provided 5+/- clinic days to complete their volunteer medical mission service. • HMMW volunteers provided care to 2,078 patients. • 1,388 patients received medical attention from our pediatricians, nurse practitioners, emergency team, and family practice doctors. • Each patient, at minimum, received a health screening that included vital sign check-ups. • 477 patients received vision screening. • 362 pairs of glasses where distributed. • 46 patients received sight saving eye surgery. • 71 general surgery procedures were provided. • 57 dental patients received a combined 143 extractions. • 132 school aged children received dental sealants. THANK YOU TO OUR SKILLED and GENEROUS VOLUNTEERS!